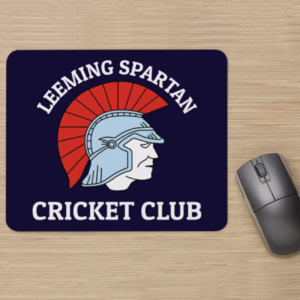 Leeming Spartan Cricket Club (Inc.) respects your privacy and is committed to protecting your personal information. Outlined below is our policy on how we will manage your personal information. Personal information is information or an opinion (including information or an opinion forming part of a database) from which it is possible to determine your identity. Examples of personal information include your name, postal address, telephone number, and email address. From third parties, such as the State and Territory cricket associations, ticket agencies and Leeming Spartan Cricket Club commercial partners. If you do not wish to receive our newsletters, publications and other communications, please contact us. What happens when I only browse the website? We do not identify you or your browsing activities except, in the event of an investigation, where a law enforcement agency may exercise a warrant to inspect the internet service provider’s server logs. Cookies are small pieces of data sent from a website and stored in the user’s web browser while the user is browsing. If you find that the personal information we hold about you is inaccurate, incomplete, or out-of-date, please contact us immediately (our contact details are set out below) and we will take reasonable steps to ensure that it is corrected. Subject to some exceptions provided by law, you have the right to access the personal information that the Leeming Spartan Cricket Club (Inc.) has on its records. For security purposes, if you would like to access personal information that we hold about you, we require you to put your request in writing with your signature. Starting May 25, 2018, the General Data Protection Regulation (GDPR) becomes enforceable, meaning you must be compliant with it if you have users who reside within the EU. The GDPR effectively replaces the Data Protection Directive 95/46/EC, and includes new requirements that you must meet. The purpose of the GDPR is much the same as previous regulations: to protect the privacy and personal information of residents of the EU. The GDPR builds upon old laws to create a more clear and complete set of rules that you must follow when collecting and using personal data from residents of the EU. The goal is for the GDPR to cover the entire region to make compliance easier than dealing with separate laws in multiple different countries. For example, we use WooCommerce to power our online store – you can read more about how WooCommerce uses your Personal Information here: https://woocommerce.com/privacy-policy/. We also use Google Analytics to help us understand how our customers use the Site – you can read more about how Google uses your Personal Information here: https://www.google.com/intl/en/policies/privacy/. In addition our Club Sponsors are provided primary advertising space on our website that is viewable by all users of our website. This is designed to typically surpass ad-blockers, however no additional data or personal information is taken from you when you browse these images and company logos. Similarly, if you have a complaint, you can lodge one on our website on our complaints page. 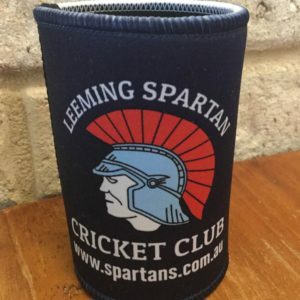 Leeming Spartan Cricket Club (Inc.) takes all privacy complaints very seriously, and will investigate your complaint in a confidential manner and you will be informed of the outcome of the investigation within a reasonable period of time.